Jarrett was as good as his word. He did indeed bind his book in blue cloth—very badly, according to one critic—and on the cover of it in silver lettering he stamped the single word ‘ JARRETT ‘. He priced the book at an amazingly cheap $5, but it didn’t sell. He then advertised that he would increase the price by one dollar a month until it reached $10, at which point he would throw away all the unsold copies. Luckily, he didn’t carry out this threat, but no-one really knows how many copies of Jarrett Magic and Stagecraft have survived. Because of the lack of interest from magicians it is likely that the author bound only around 70 or 80 copies from the sheets. There is evidence that he gave away copies to magicians he liked. 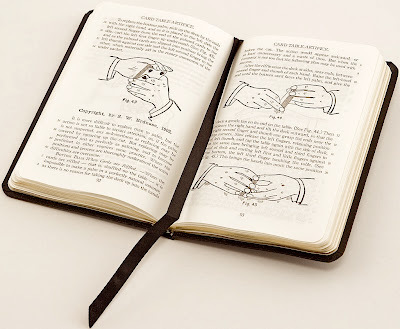 As a result, and perhaps because of its poor binding, the book is now exceedingly rare and much sought after by the wealthier professional magicians. Historian Jim Steinmeyer, who in 1981 reprinted it with his own comments as The Complete Jarrett, calls it one of the most important books on illusion ever published. This was a magazine of truly Lilliputian proportions, each volume being around half the size of a pocket diary, and like Auden’s famous Poems o f 1928, hand printed on an Ardana press. Essentially a miscellany of articles on the history of magic, it was published by subscription by magician Wilf Huggins in an edition of 50 for each of its 38 issues. Probably only 30 complete sets have survived, some of which are in academic libraries. The Library of the Magic Circle, for instance, holds one set in limp leather. In 2000 a fan tried to track down the current owners of complete sets and discovered that at least 17 sets were unaccounted for. Individual issues may still in circulation, though the tiny dimensions of each copy would militate against many surviving. 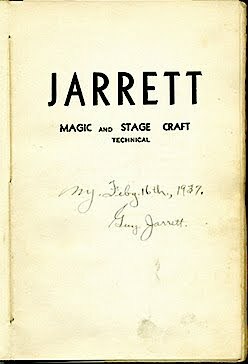 Like Jarrett, The Midget Magician is a legendary rarity among collectors, and is probably on more ‘ wants lists ‘ than any other magic books. Thanks so much for this. I like a bookseller who talks about prices! Magic.